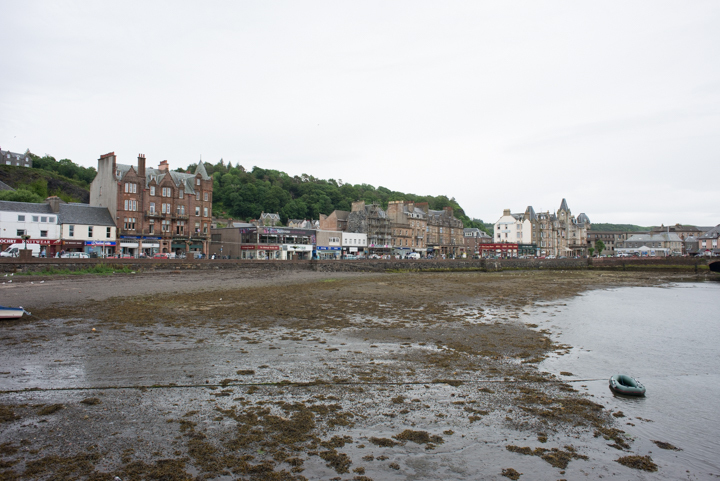 On my search of beautiful coastal towns in Scotland, I came across a website that introduced me to the town called Oban. How Oban was quoted on the website is – Be Careful! You may fall in love. And that’s it those lines were just more than enough to lure me into visiting this little town. And Guess what? 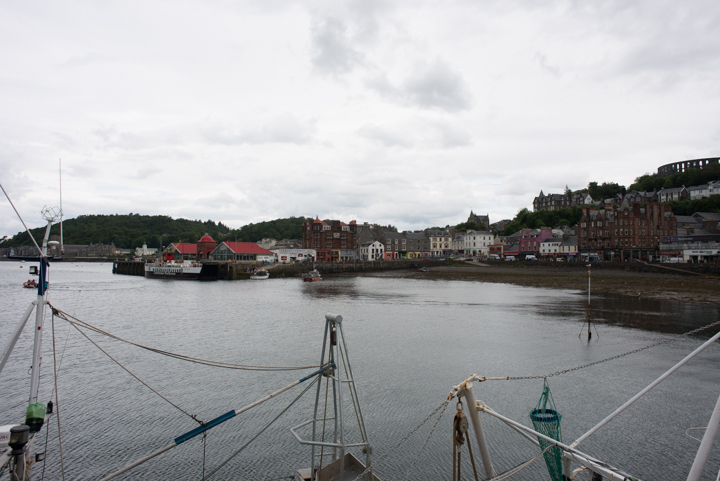 Yes I did fall in love with Oban. 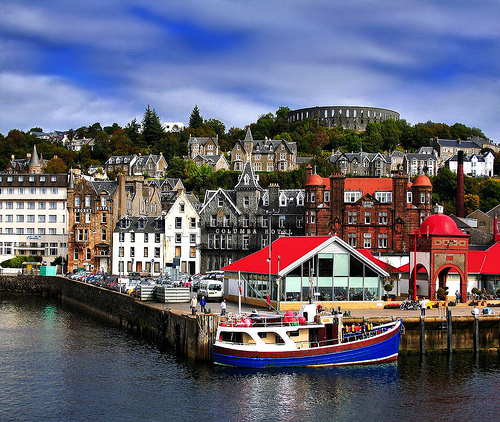 Oban, meaning a little bay, is a small town on the west coast of Scotland in the county of Argyll. 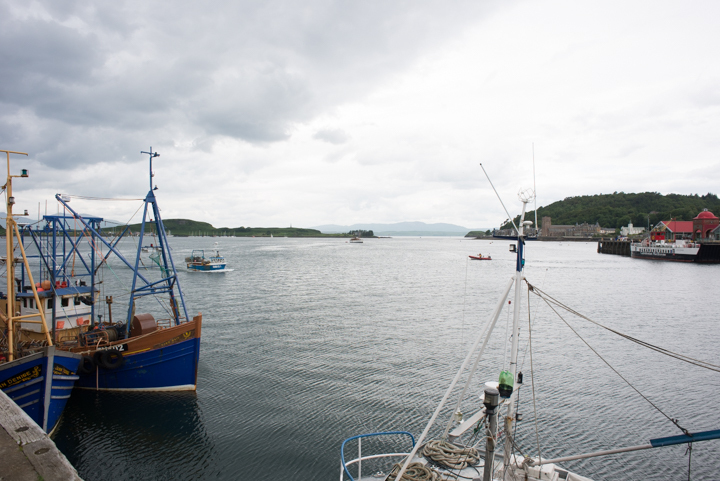 It often referred as ‘seafood capital of the Scotland’ . 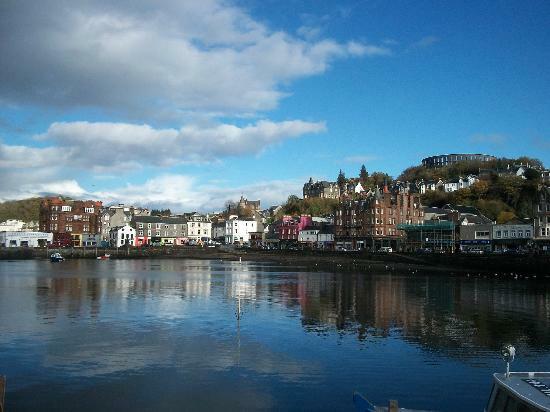 The town is colonized by the hills surrounding Oban Bay and is a very busy summer town with great cafes and restaurants, and a big list to select your activities and day trips across various islands & in the highlands itself. 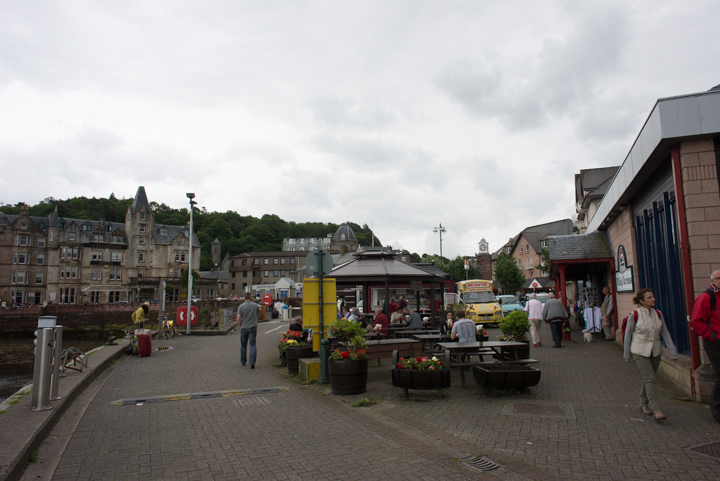 A very popular attraction within Oban is McCaig’s Tower, the Colosseum lookalike which stands above the town. The Tower is 10 minutes hard walk uphill from the centre of the town that provides spectacular & mesmerising views over the town and onto the neighbouring islands. 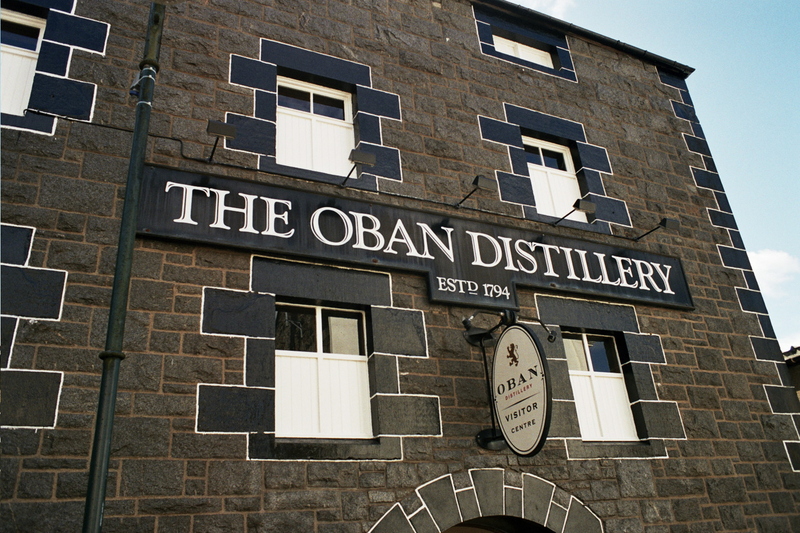 There is an Oban Distillery too right onto the high street, beneath the steep cliff that overlooks Oban. 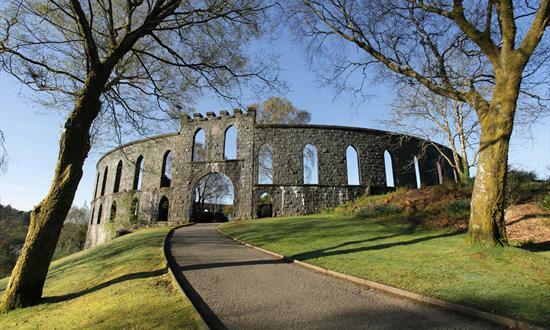 Built in 1794, this is one of Scotland’s oldest sources of single malt Scotch whisky. Unfortunately we could not take the tour due to time issues. But I am sure it will be worth a visit for people who loves the whisky making technique. Imagine all of this, and you do not even need to walk a lot or rent a car, all these attraction as visible as you enter the town. We walked down the whole town, walked upto the pier that opens up a wider view of the seascapes and tiny islands at the far distance. It was truly a magical place. We never planned to stay in Oban as we had to drive to Fort Williams that evening, but may be I will come back sometime to re-visit this little town and spend few days here. Thank you so much. Always love the feedback/comments from you. Apologies for late reply, work has been hectic and crazy 😦 Just not able to manage the home blog and work all together. Beautiful… thank you.. wonderful pics too. have you tried the sea food hut over there ? the best sea food I’ve eaten in Scotland ! Me too ! I am so busy ! I totally understand !! Gorgeous little town with so much to see (and drink!). I would love to go there one day. I’m sure you’ll be looking for an opportunity to go again and to stay longer. Thank you so much. You know these little villages or I will call it treasure of beauty have made me fall in love with this Island. No wonder Bill Bryson was captivated with Britain.